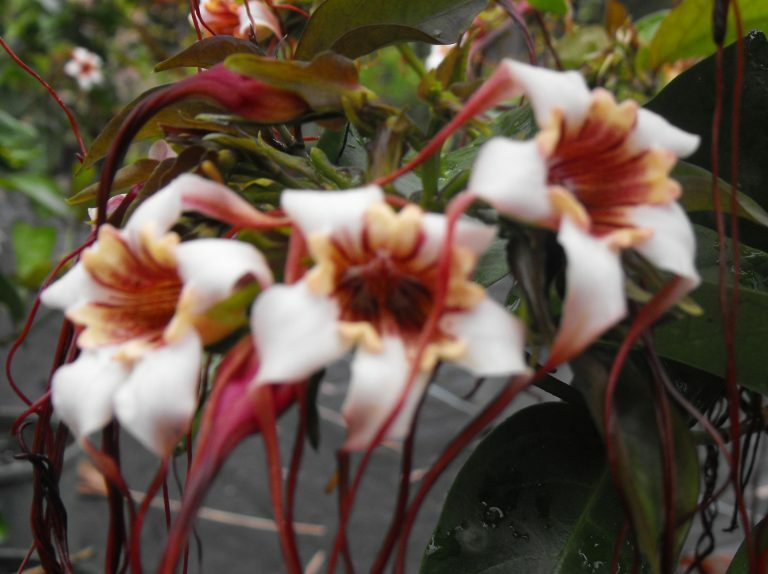 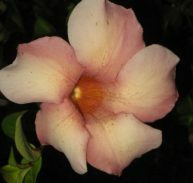 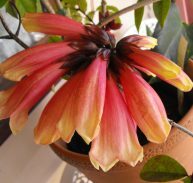 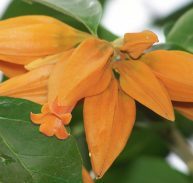 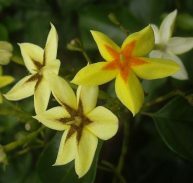 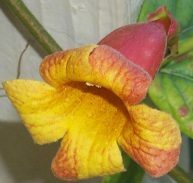 Strophanthus preussii is a member of the Apocynaceae family and is a native of West and Central Africa, from Sierra Leone east to the Central African Republic, and extending to Uganda and northern Tanzania, and south to southern DR Congo and Angola. 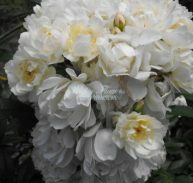 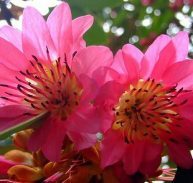 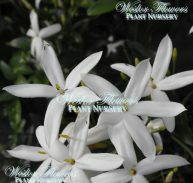 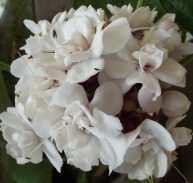 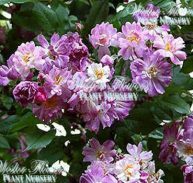 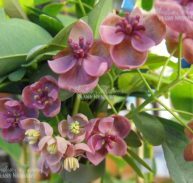 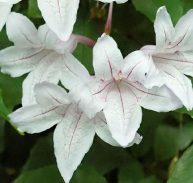 This is an amazing lightly fragrant flower that will stop you in your tracks, the flowers are light creamy pink, and five petals on each flower in bunches. 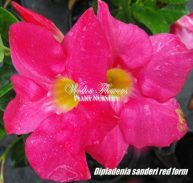 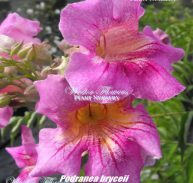 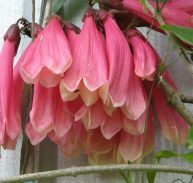 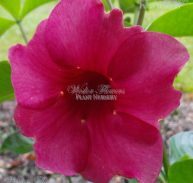 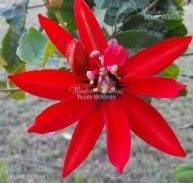 The centre is pink maroon and the petal produces long tresses to about 300 mm that are deep maroon. 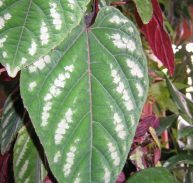 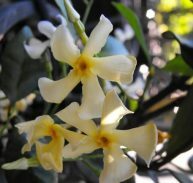 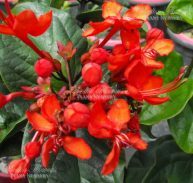 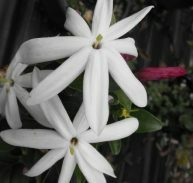 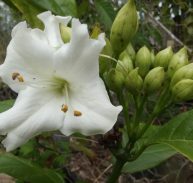 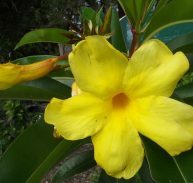 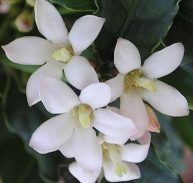 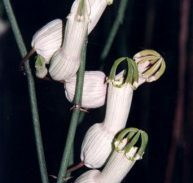 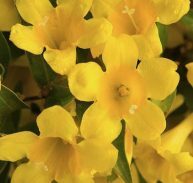 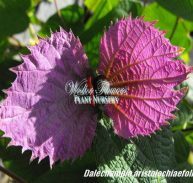 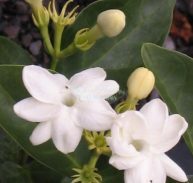 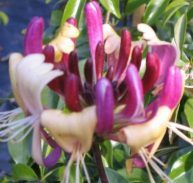 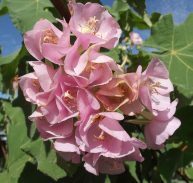 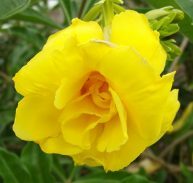 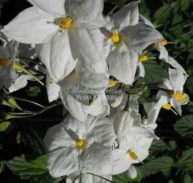 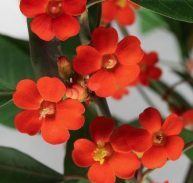 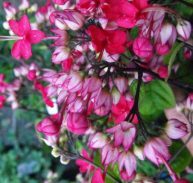 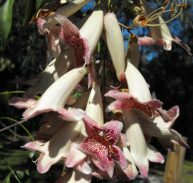 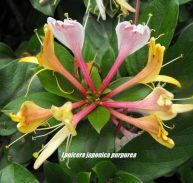 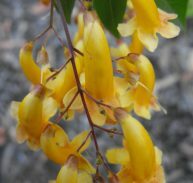 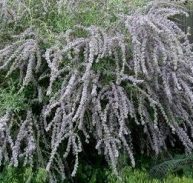 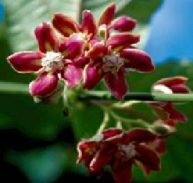 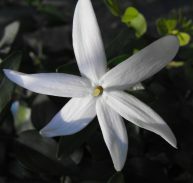 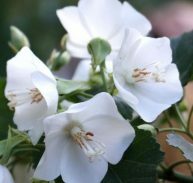 The liana is a climbing shrub to 12metres but can be kept as a shrub, it is best kept in full sun to partial shade in well – drained soil and mulched well to conserve water. 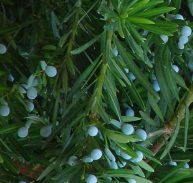 The plant is evergreen to semi- deciduous in cooler areas or in a very dry spell. 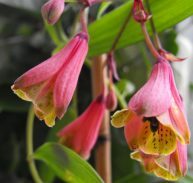 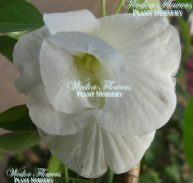 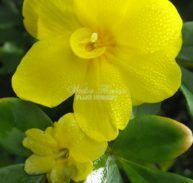 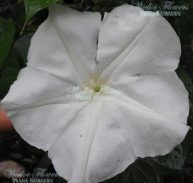 It flowers in mid- spring through to autumn and will spot flower at other times. 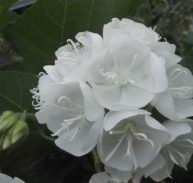 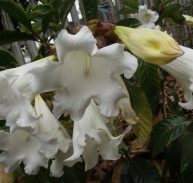 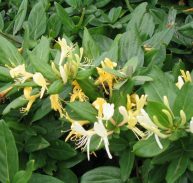 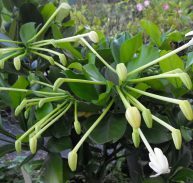 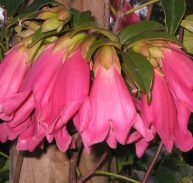 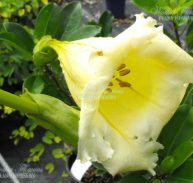 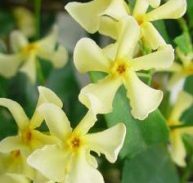 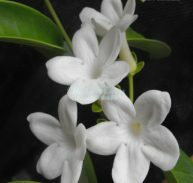 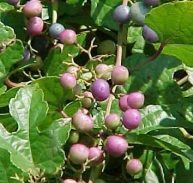 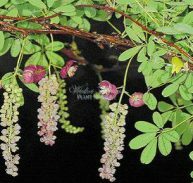 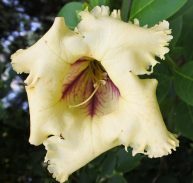 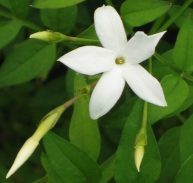 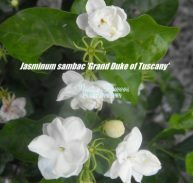 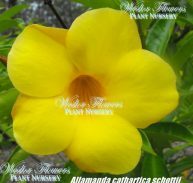 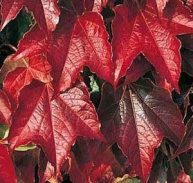 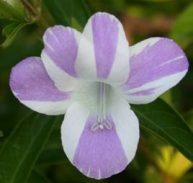 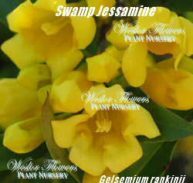 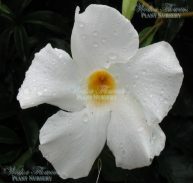 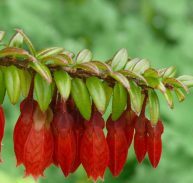 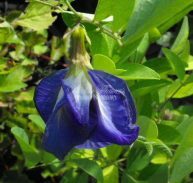 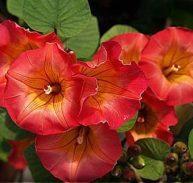 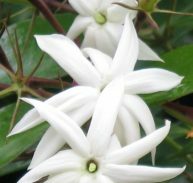 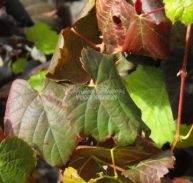 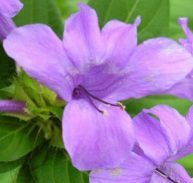 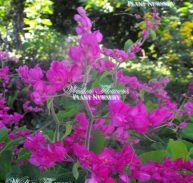 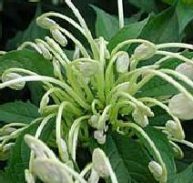 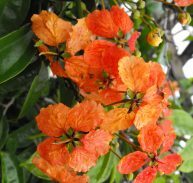 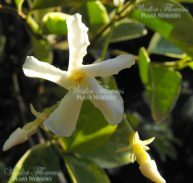 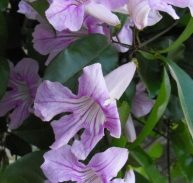 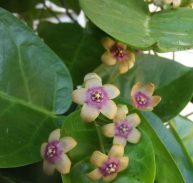 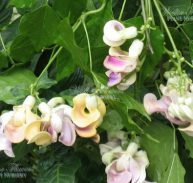 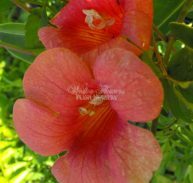 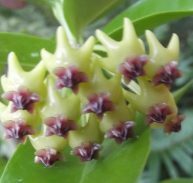 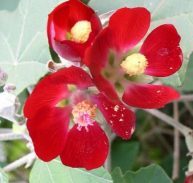 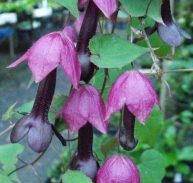 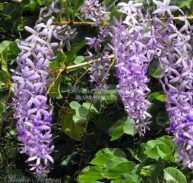 It is great as a vine on a trellis or large tree in tropical climates, or as a weeping shrub if pruned judiciously to keep its shape mounded and non-climbing, it is also a quite useful ground cover. 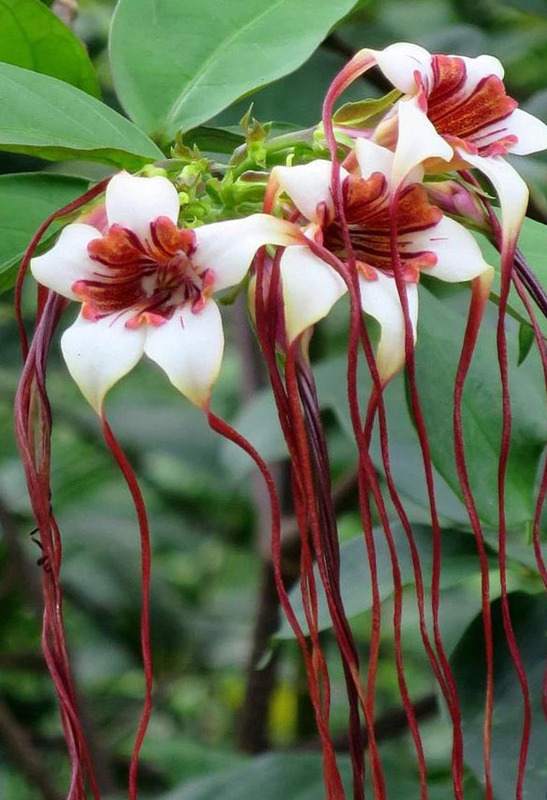 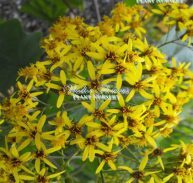 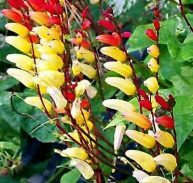 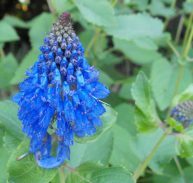 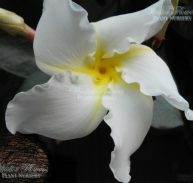 ENJOY THIS RARE AND DELIGHTFUL PLANT!